"Both touching and terrifying. Be careful! You may actually burn your fingers reading TEN AFTER CLOSING. What starts as a spark turns into a raging inferno that you won't be able to put down. Wonderful characters + nail-biting tension = one fantastic book." "TEN AFTER CLOSING sinks teeth into you from page one and never lets go. Reading this YA heist-gone-wrong thriller was like being strapped to the front of a Ferrari doing 120MPH. Set two alarm clocks―Bayliss has crafted an instant page turner that will have you up way past ten. This book is one. Wild. Ride. " "When you start TEN AFTER CLOSING you will ignore friends, family, and everyone else until you've read the last page." "This fast-paced thriller grabs on from the first page and doesn't let go. I felt an urgent need to read Scott and Winny out of danger, yet feared every new page for all the twists and turns. 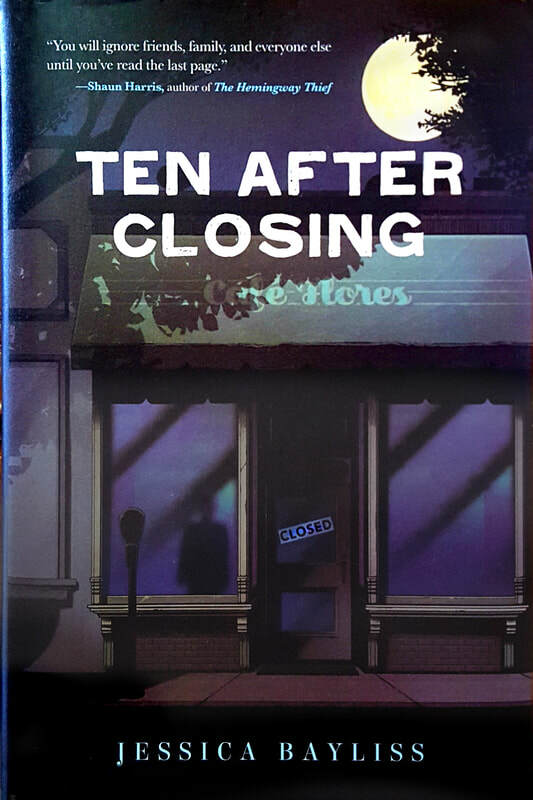 TEN AFTER CLOSING does not disappoint, culminating in a heart-pounding finale that left me feeling breathless."